Join the discussion on our forums! Come discuss Eccentric Scribe over in our dedicated Eccentric Scribe discussion topic. It remins me Violet Wurm. 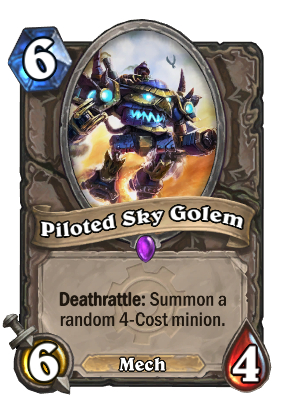 Should be good in Arena. Very slightly worse Highmane in terms of stats (missing one on the main body), but lacking any tribe synergy. Sounds exactly right for a Neutral minion compared to a Class exclusive. I see it being very strong in Arena, but probably not great in Standard. The 1/1s suit a token deck, but the cost is too high to fit. Unfortunate, because I love the art! Your comparison is quite on point. 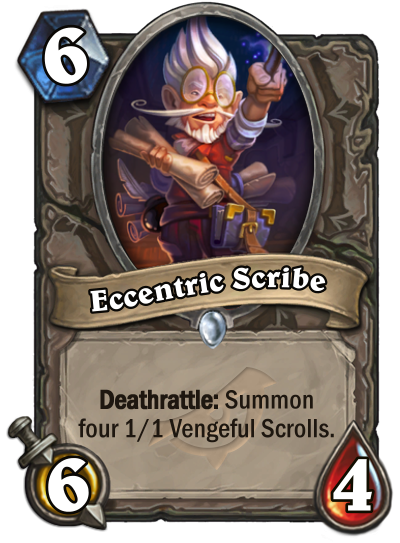 I guess the scrolls won’t have any tag/synergy?